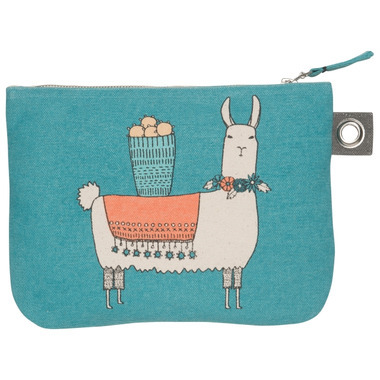 The Danica Studio Llamarama Large Zip Pouch is a handy pouch great for traveling or makeup. 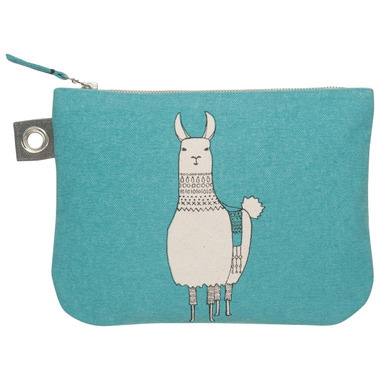 Made of 100% cotton with a metallic zipper. This is a sturdy bag and a good size, but the zip is very stiff and doesn't feel like good quality. Every time I use it, it feels as though it's going to break.